Do not send me a bug report. Become a paid member of MailChimp and after reading their documentation, if you have an issue, use their support. The original code last week was messed up in that the the same image was used in all posts, I should have noticed it. Anyway, this code is updated and it works great. Apparently hardly anyone is reading my blog to let me know of issues, which is disheartening. Last week I set up an RSS campaign for my own posts. I was also working on one of my client’s campaigns, which went smoothly and looked great. It was not an RSS campaign, however. For my RSS Campaign, I just chose the Simple RSS template that MailChimp offers just add my logo and change the colors. I was wrong. It looked okay in the preview, but when it arrived, it looked yucky. It is messy and also the padding was gone. I don’t know what happened to the styles. I can’t actually touch the html for the drag and drop template. Replace the MailChimp template with a custom coded one. Paste in a new RSS chunk in their editor. Created a new feed for MailChimp with the styles inline for a responsive image inside a table (width:100%). Note: Images inside tables and inline-block need width:100% not max-width:100% or they won’t resize. Change your links and logo. Read the html and the notes in the Gist. Please learn how to use MailChimp, this post does not provide duplicate instruction found on their site. Thanks to Greg Rickaby for the alternative RSS template tutorial. When you find helpful tutorials or snippets, you have to read the code to change it to your needs and also validate it and correct it. I changed the code to use my image sizes and removed the stuff I didn’t want. Step 1: Add the following to your functions.php file and change the prefix to yours. Step 2: Create a .php file named feed-mailchimp.php and put it in your child theme directory. This is a corrected version of the one on Greg’s site. It validates with the correct author syntax <author>your@email.com (Your Name)</author> and the description tags. Remember to change the value of the image handle to your own on line 14. Your feed url is now http://yourdomain.com/?feed=mailchimp, which is the value you use in MailChimp in their RSS campaign settings. Now my feed looks nice and clean. I just clicked my link, so ignore the :focus state. Here’s the after, I’m embarrassed by the before. Note: The preview of your RSS campaign using the *|RSS:RECENT|* will show the current + 5, but on an actual campaign, it will show the previous 5 posts and not the current. Do not send me a bug report. Become a paid member of MailChimp and after reading their documentation, if you have an issue, use their support. Awesome post. This is really helpfull for me. I just loved this article. You helped me alot so I just wanna say thanks to you. I’ll definitely gonna bookmark your blog. Thank you for this post. 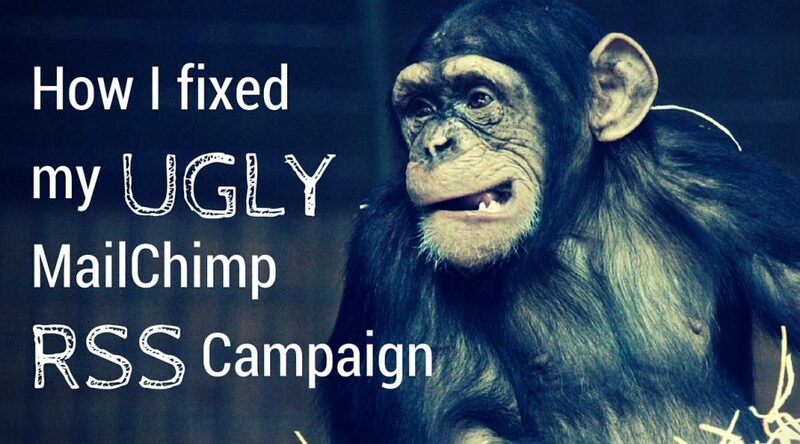 It’s helped me fix my Mailchimp RSS driven email campaigns from breaking HTML templates. One thing I had to change was to use “get_the_content();” function to get my content nice and clean. However a side effect is that I am getting caption shortcode polluting my email. I am stumped how I would go about removing that caption information that appears before each image. I don’t understand how this fixes the situation with Mailchimp, since I don’t see you adding a function to add tags anywhere in the code. As far as I understand, Mailchimp emails won’t pull the featured images without this tag. Is there something here I’m not catching? Thank you! 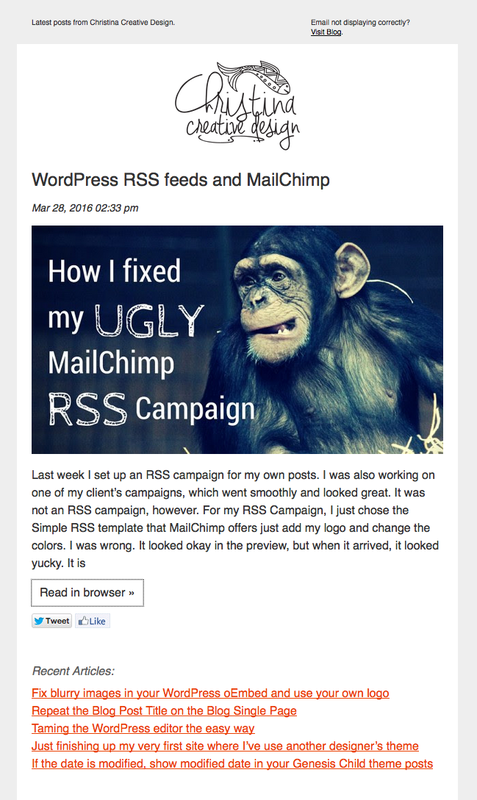 MailChimp tags are in the Tutorial starting with the line “In the campaign, paste the RSS feed items”. MailChimp gets the items from your feed on your WordPress site. 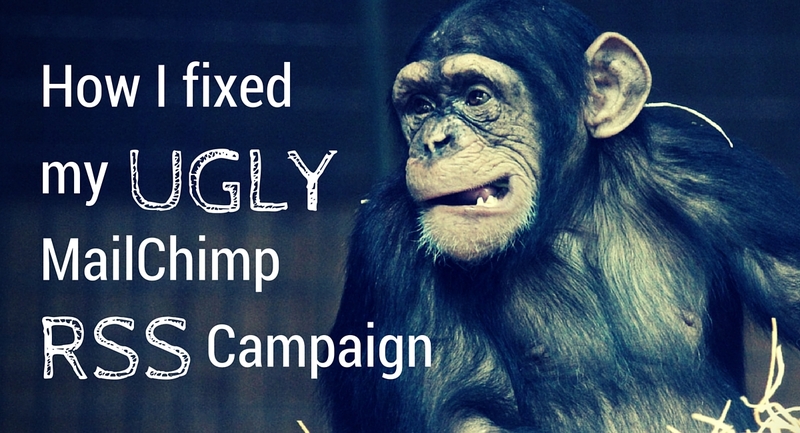 If the feed on your WordPress site looks odd, then that is what you will get in MailChimp. If you want to correct it, you can use the instructions to make another feed with php. Read every line of the post and all the code and then get some understanding of MailChimp too, then it will make sense.